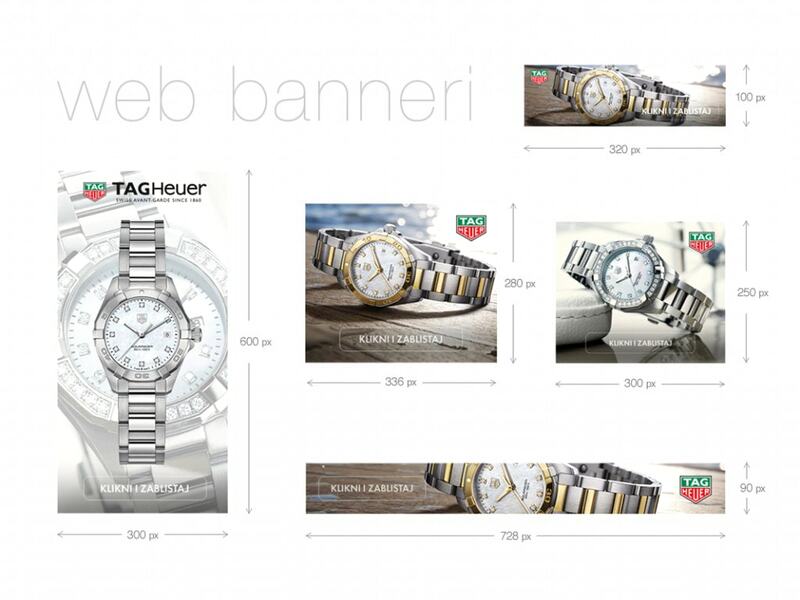 For TAG Heuer watches we made Google Adwords remarketing campaign for Croatia. 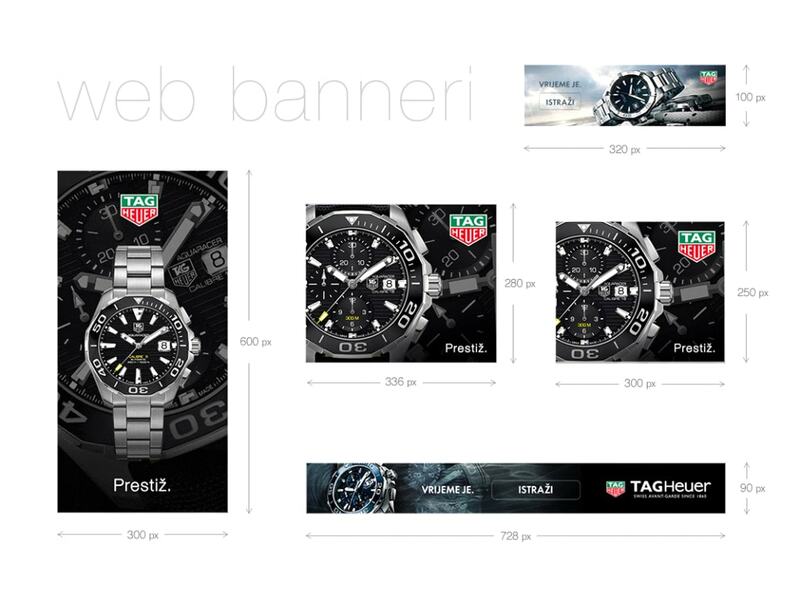 For the purposes of the campaign, we have created an attractive banners for male and female collection of watches and customized landing page. 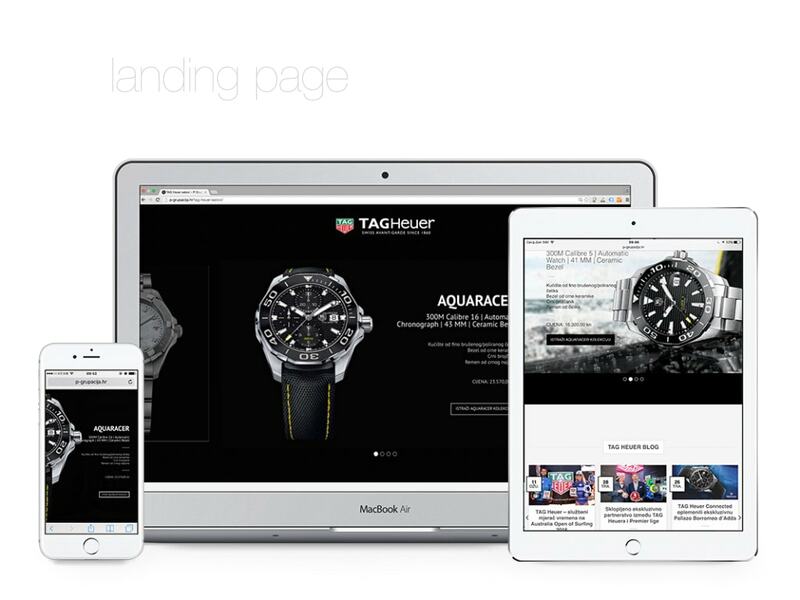 Google Adwords remarketing campaigns through the Display Network includes display ads, in this case through banners or visuals to users who have previously visited the TAG Heuer website. 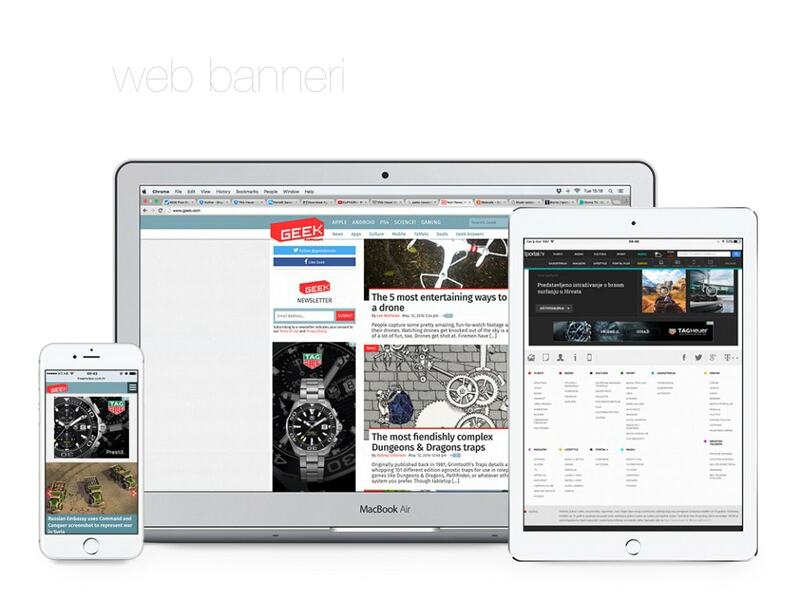 Once the remarketing campaigns is optimized, banners will be displayed to users while using the Internet via mobile devices and personal computers. We create banners in different sizes that have previously shown the most successful and optimal for achieving results. 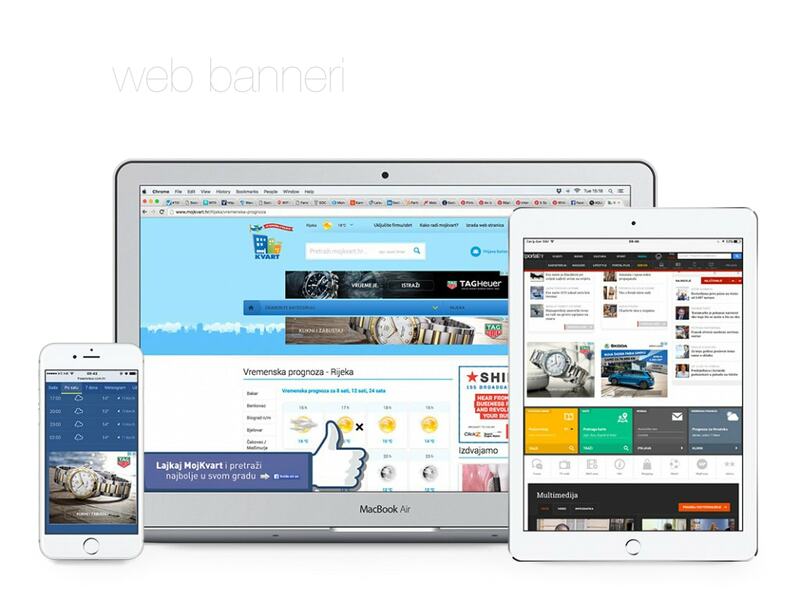 We chose five different sizes of banner, they are animated, made by the latest technology HTML5, which allows the optimal ratio of quality and size. We divided campaign and associated banners according to the presentation on mobile devices and personal computers for optimal results, which includes loading speed and image clarity. Optimizing landing pages is extremely important because people go on the landing page after they click the banner. For a better user experience, and thus lower the cost of the campaign, we designed a special landing page where you can find all relevant information that will be interesting and useful to users and which will lead to purchase. The landing page goal is to make customer take a specific activity, such as clicking on a particular product, send a request, subscribe to the newsletter, contact and more. 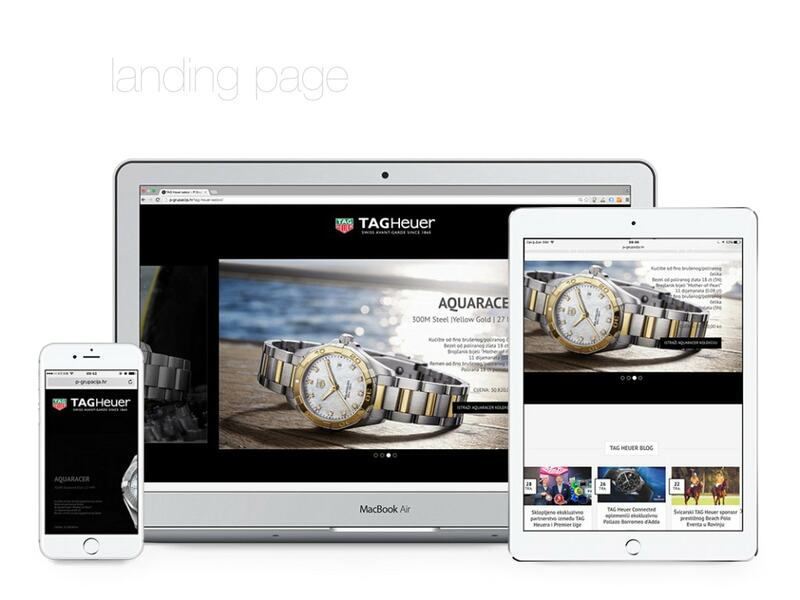 Landing pages should also have responsive design, due to quality of browsing on all platforms (mobile devices, personal computers, tablets, etc. ), and to succeed an excellent remarketing results.